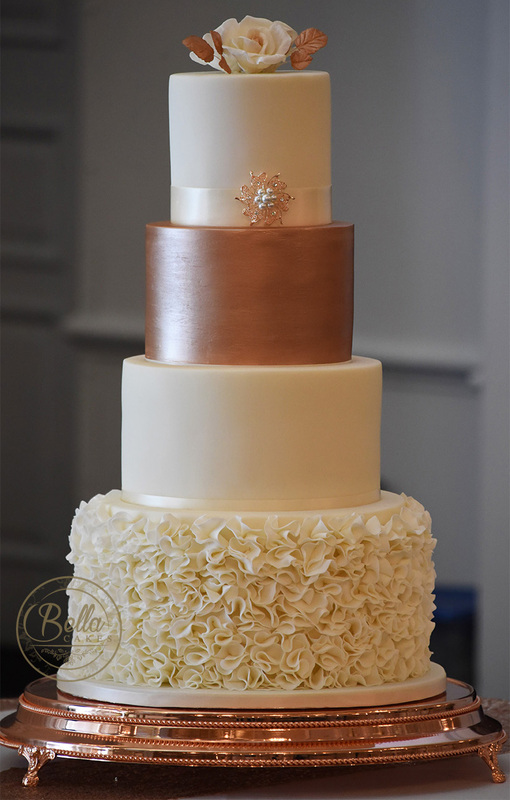 A tall 4 tiered rose gold and ivory cake. 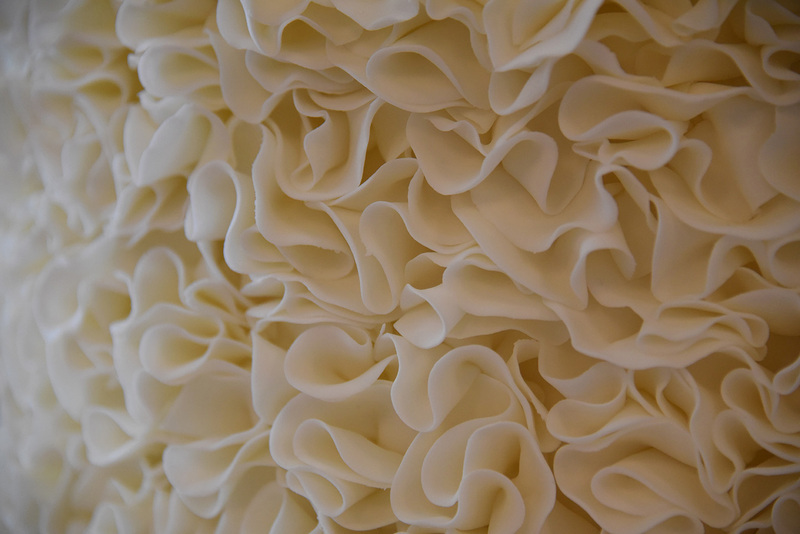 With over 300 individual handcrafted ruffles for the bottom tier. 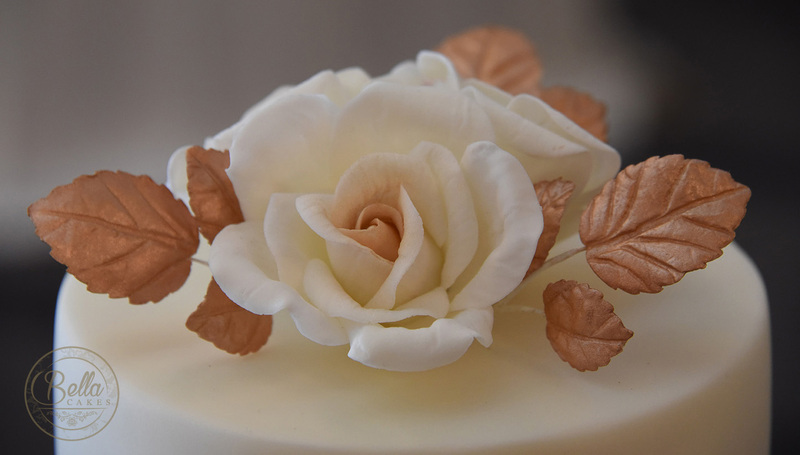 The 3rd tier was finished in an elegant rose gold lustre dust to give it a decadent look. Then finally 3 delicate sugar roses arranged on top. Set in the grand venue at Covent Garden, London.